To all the lovely people we talked to at the National Pet Show and our Cat Magazine customers, a big thank you for all your positive feedback. All pieces of work are HAND MADE AND PAINTED LIMITED EDITIONS, each mould can only produce up to 50 reliefs before it has to be redesigned. Your cat is a source of joy! Custom Cats understand this joy, seeking to capture it for you by portraying your little friend(s), in an individual and bespoke manner. Capturing your best friend’s essence is my mission, and each work of art is made with love to bring a smile to your face each and every day. Custom Cats began for me when I decided to make a simple memorial to Ricky, a friend's beloved cat. I captured his essence through the distinctiveness of his markings, at first in a painting. Later I did the same for my own 'Fat Cat'. 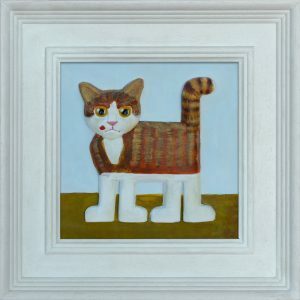 As I specialise in ceramics they eventually got immortalised in the form of painted clay relief’s. Please read the 'frequently asked questions' (FAQ's) before making your purchase! 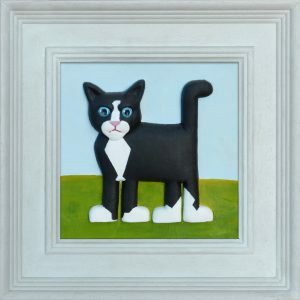 Loving the idea, those that saw these images asked me to produce reliefs of the cats they wanted to remember and so the idea has grown. 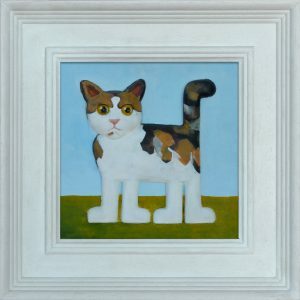 Customised cats are now available to all who wish to capture the essence of their beloved feline friends, past and present! 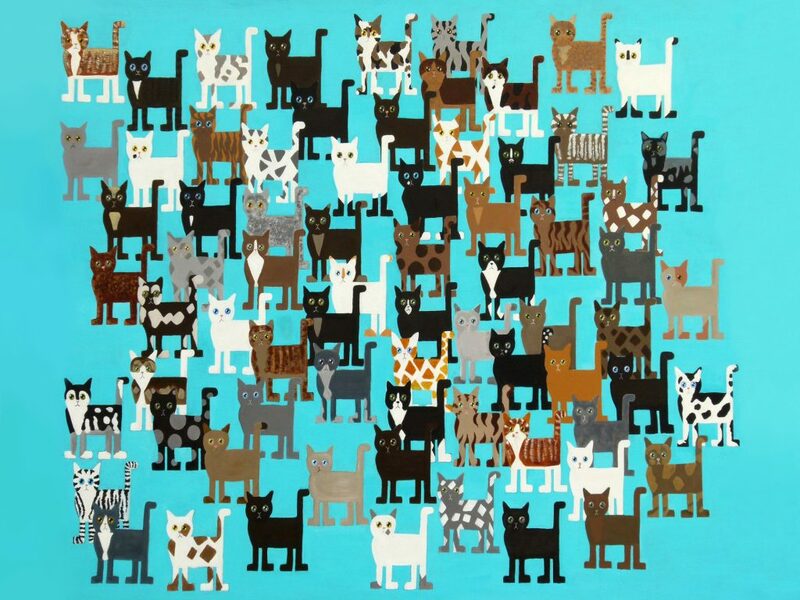 If you would like to purchase your own Custom Cat, click on the purchase link. On receipt of payment you will be contacted by email and advised how and where to send your photo(s). PLEASE CHECK YOUR JUNK MAIL BOX IF NOTHING ARRIVES. To view click on PORTFOLIO and then 'Other items for sale by the artist' where you will find the purchase buttons.